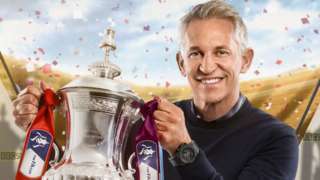 Everything you need to know about the FA Cup fifth round on the BBC. And there are still three more ties (not including replays) to go in this round. Join us tomorrow for two of them. Chelsea boss Antonio Conte: "A very difficult game but we all knew this. It was important to suffer in the moments and then in the second half we deserved to win because we scored two goals. We had many chances but this is the FA Cup. The results this afternoon show there is no easy games. "Don't forget, I changed seven players. It is good to have a good answer from the players who are not playing a lot. We showed great commitment to fight, to win and to continue in this competition. "I am pleased because we scored a good goal with the situation. I am pleased for Pedro, for the team and now we must continue in this way." Conte was a Juventus player, although he was injured, when Paul Lambert's Borussia Dortmund beat them 3-1 in the 1997 Champions League final. "I don't like this word revenge. I remember the game very well, a bad loss. I wish Paul Lambert the best for the future." Lincoln become the first non-league side in 103 years to reach the FA Cup quarter-finals with a dramatic last-minute win over Premier League Burnley at Turf Moor. So, we now know four of the eight teams that will be in the draw for the last eight of the FA Cup - Chelsea, Middlesbrough, Millwall and Lincoln. Tomorrow, Fulham host Tottenham and Blackburn take on Manchester United to try and decide two more, before Arsenal travel to Sutton on Monday. The draw for the quarter-finals is on Sunday (BBC News Channel, BBC Radio 5 live and BBC Sport website at 18:30 GMT). Wolves boss Paul Lambert: "I could not ask for anymore. The gameplan was unbelievably performed and we were up against a world-class side. Not just class, world-class. They have won Champion Leauges, so many honours but we gave it a good go. "In big moments, we have to score. If George Savile's shot goes in, we have something to hold on to. We played with intensity but needed breaks to go our way. "Big players make things happen. They are most dangerous when we have the ball. They have so much pace on the counter-attack. This was no disgrace, I thought we played great. "Jack Price has been playing great and been very consistent. He is a terrific footballer but the whole team deserves credit." 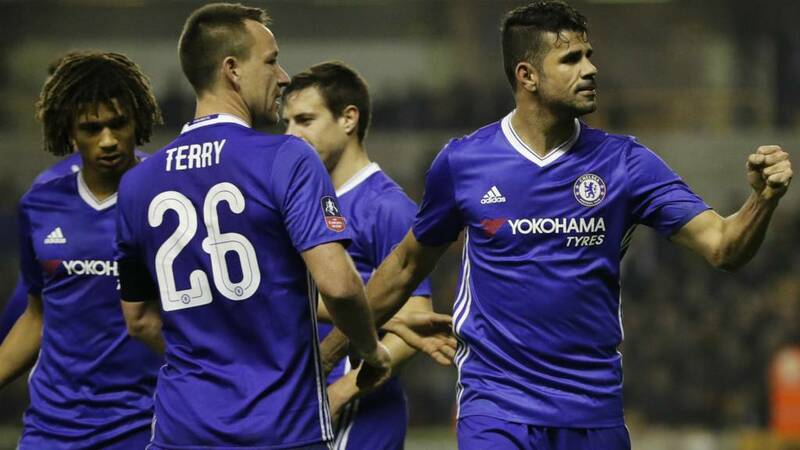 Chelsea captain John Terry: "It was a well-fought game today. They started well and made it difficult for us. "Seeing the other results, this was not going to be easy and it is a tough place to come. We did well in the end. "It would have been nice for George Saville to score but for players like me and Cesc Fabregas, who have not been playing, we need to come in, do well, keep the run going and give the manager food for thought. "This year, especially in the Premier League, everyone is beating everyone. You cannot look at the fixture list and go, 'we can get three points there'. Teams are set up well but most importantly, we are in the hat for the next round." It was a very good game and very competitive, the top third was the difference between the sides. Wolves had lots of half-chances but when Chelsea had theirs, they took them. Wolves needed to find a breakthrough in their best moment in the game but they could not get it and gave everything. The home fans have been on their side too. Chelsea made lots of changes today, but their attitude was good, they have passed a test today. Job done for Chelsea. They weren't at their best but they are through and the domestic double remains a possibility. Wolves are left to focus on preserving their Championship status. If they needed any inspiration it can be found in the way they went about this tie. Deep into injury time now. Nathaniel Chalobah tries to add a third goal but slices his effort high and wide. The official attendance for this game is just over 30,193. It is the biggest here since 1981. There is the best striker in the Premier League at the moment. Diego Costa is so important to this Chelsea team. You do not question Costa's work-rate. He is running everywhere but he has the knack of being in the right place at the right time. The way he dispatched it was clinical, worthy of a top, top striker. And that is that. Cesc Fabregas' poked pass deflects off a Wolves man in the box and into the path of Diego Costa, who makes no mistake with a low finish past Carl Ikeme. The Wolves fans applaud, not for the goal but for the efforts of the home players. They've have given it their all but fallen short. No shame in that. The ball is floated in and met by Kurt Zouma but he doesn't get enough power or direction on his header, which goes wide. Still slim hope for Wolves. Three minutes to go. Chelsea have a corner.